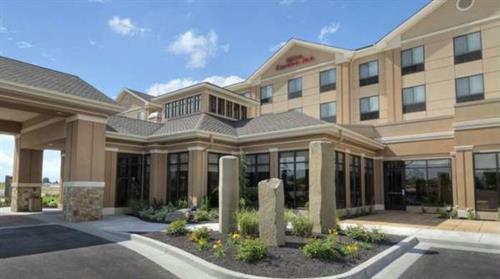 The Hilton Garden Inn Twin Falls hotel is located in the heart of Idaho's Magic Valley. This hotel in Twin Falls, Idaho offers spectacular views of the Snake River Canyon, with a canyon walking trail in the hotel's backyard. The hotel is a short distance from the beautiful Shoshone Falls and great golfing experiences at the bottom of the Snake River Canyon. If you love to hike, fish, bike, or pursue any type of outdoor recreation, the Hilton Garden Inn Twin Falls hotel is the ideal choice for you. Stay in a spacious guest room or suite at this Twin Falls hotel and enjoy contemporary decor and complimentary high-speed internet access. Start each day with a healthy and hearty cooked-to-order breakfast or enjoy delicious American cuisine in the hotel's restaurant, the Great American Grill®. Stock up on snacks from the 24-hour Pavilion Pantry convenience store. Keep up with work in the business center, or host a meeting in the hotel's meeting space for up to 130 guests. 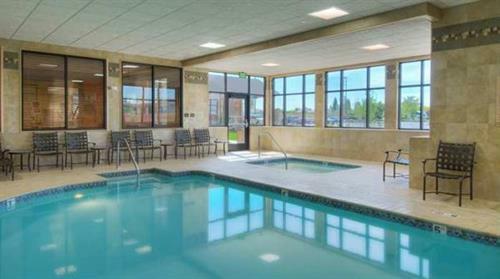 Swim laps in the indoor swimming pool and relax in the whirlpool. Stay active in the 24-hour fitness center with cardiovascular machines and resistance equipment, or borrow a Stay Fit Kit® from the front desk to work out in the comfort of your room.